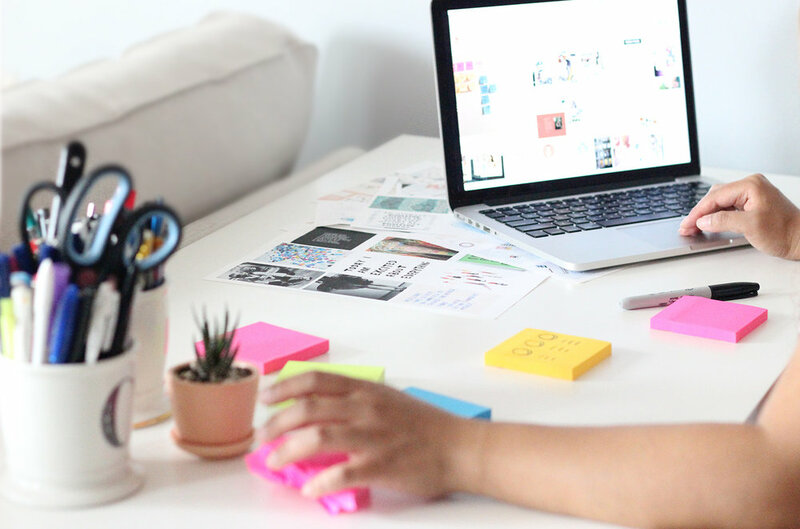 With Chloe is a petite creative studio devoted to working with visionary makers + doers who need help organizing their thoughts, creating a plan, and bringing their design details into fruition. Having something you want to share with the world and solving how to put it out there can be daunting. You have the overall vision, but where exactly do you start? What about creating your brand identity, ensuring it's cohesive on your social media, and designing a website? That's where I come in! So tell me, how can I help you? Having a logo and creating an actual brand identity are two completely different things. Let's discover how we can style your branding by talking in depth about your vision and goals. Creating websites are so easy nowadays, but how you lay it out matters to who's viewing it. 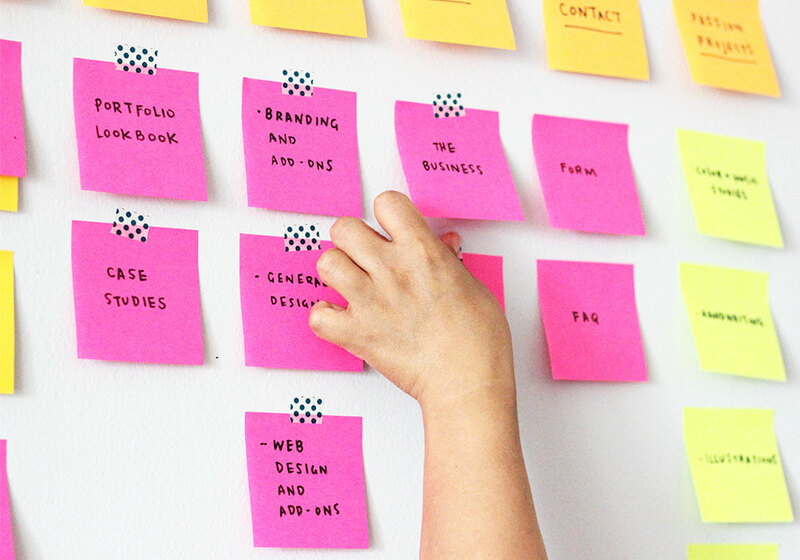 Together, we'll organize all your web needs and create a wireframe that works. We've got your brand styled. We've launched your website. What else is there? So much more! Business cards, social media branding, digital flyers, Instagram story designs, etc. Let's talk about what could help push your brand even further. 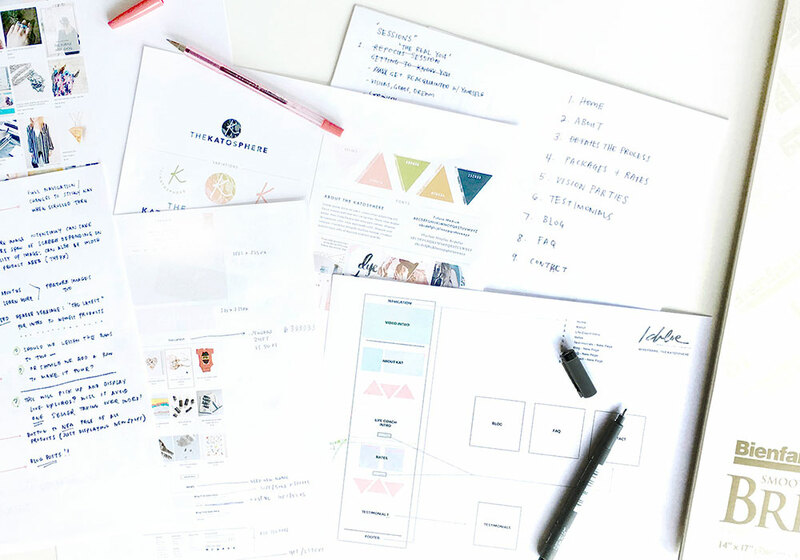 I can help you organize your thoughts with a vision workshop, create editable templates for your digital designs (think newsletters or flyers), and teach you some design basics to equip you with the knowledge of how to design for your brand.